"I would not have made the exam without your course and you always took such a good care of us, both inside and outside the course. We always have candidates in the training and I will suggest that they all take the DeltaPatents' courses." Pre-Exam and Main Exam in our brochure! 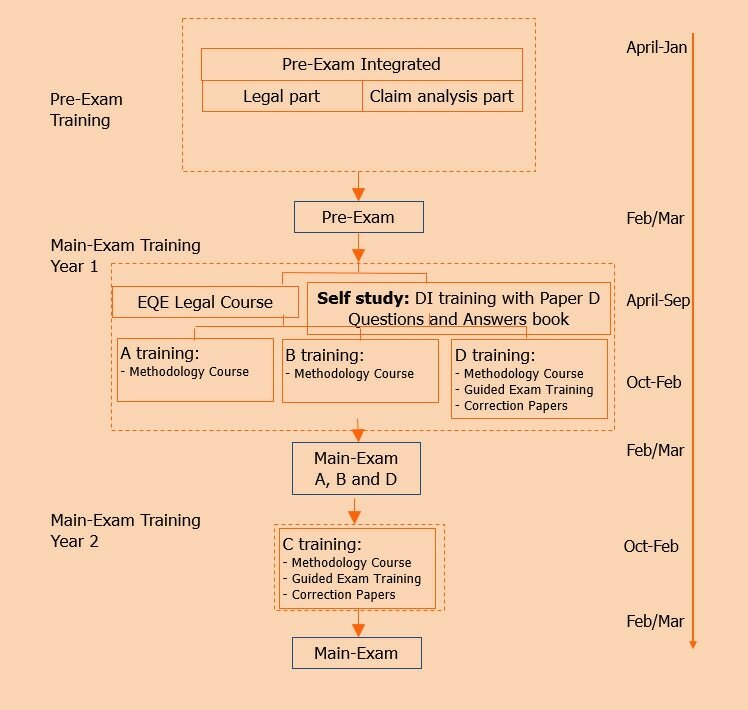 New this year is a 4-day Pre-Exam claims analysis course, which is very suitable for re-sitters. During the 4-days focus will be on time management and practicing exams and exercises in exam-like format. 2- or 3-weekly video conference sessions with our tutors! The EQE 2020 course will start in May 2019, click here for more info. 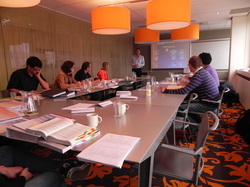 Dates and locations for the EQE 2020 courses have been scheduled now. For an overview of all courses in English, German and French language, please click here. Not only do we have training courses, we also have a wide range of training material in our webshop to help you prepare for the EQE. If you need more study, you can participate in our correction papers program. For all Main Exam papers we offer a selection of papers to be handed-in according to a schedule. The papers are corrected by our tutors, marked, commented and a thorough model solution is also provided. More information in our brochure. In this program, which is the default program in the Netherlands, candidates aim to pass the Pre-Exam, immediately followed by next year passing all four Main Exam papers. The Main Exam year will be challenging: four papers in parallel, including paper DI which requires a lot of hours of studying. To spread the load, a good legal preparation is already required in the Pre-Exam year. For this Pre-Exam Integrated Training is ideal. Here we combine the Legal part of the exam with the Claim Analysis part, right from the start. 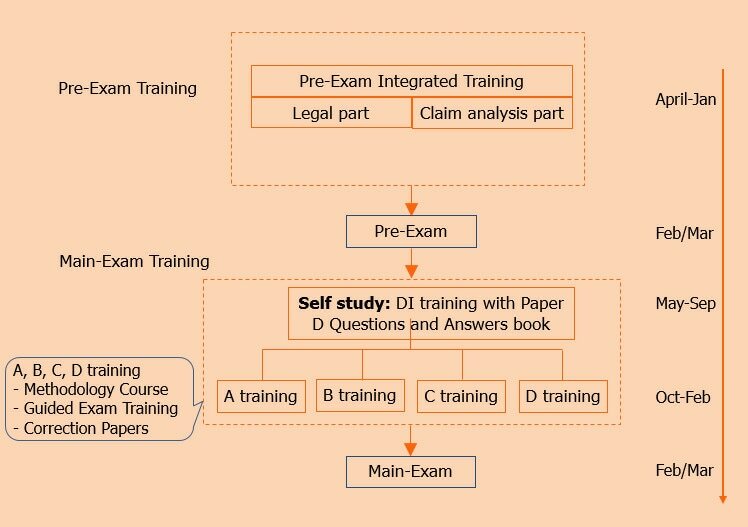 The Main Exam training can start with self study on DI questions, using our Main Exam Questions for Paper D book (D-book), followed by the training for the four papers in parallel. The paper training ideally starts with a Methodology Course, followed by a Guided Exam Training and, optionally, finished with our Correction Paper program. In this program, candidates plan a couple of years for passing the Main Exam. Here a schedule is shown wherein Paper D is taken in the first Main Exam and in the following year papers A, B and C are taken. A candidate can choose to build up the legal knowledge relatively fast by following our Pre-Exam Integrated course for the pre-exam. If less legal knowledge has been acquired for the pre-exam, the legal course can be followed while preparing for Paper D.